I went to Toyokawa Inari for Hatsumode. 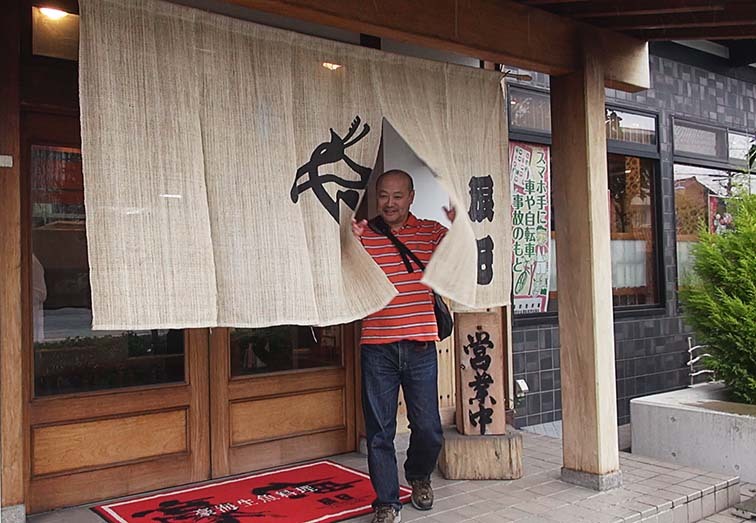 We always enjoy at the approach, after visiting to pray in Toyokawa Inari. But this time, only Buy food and eat it in the approach. Let's eat some in the way back to my house. From Toyokawa, there is Gamagori while returning to Nagoya. Gamagori is delicious at seafood. I decided to go to Gamagori. 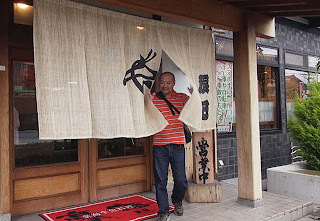 Because the restaurant in Gamagori which I visited before was delicious. 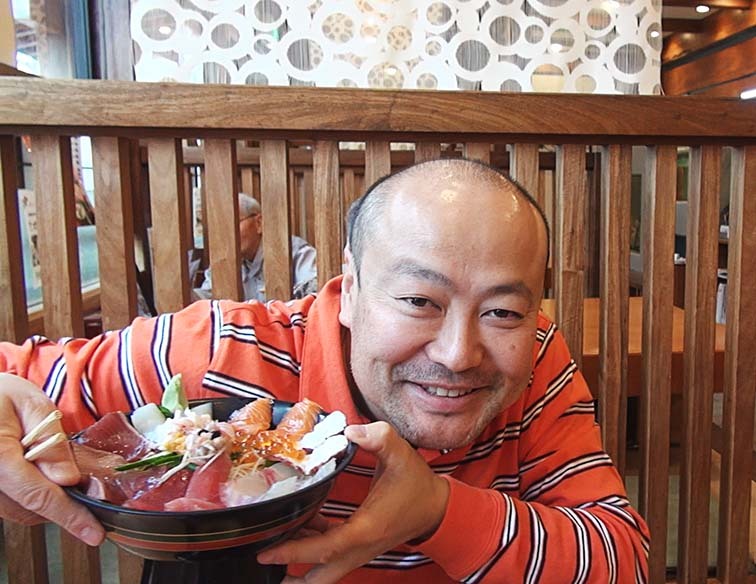 We ate Mikawa-wan seafood bowl and Sashimi set meal. 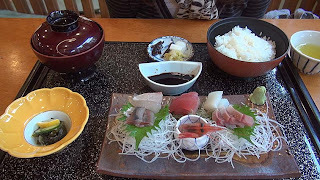 The quantity of the sashimi of Sashimi set meal was a proper quantity. They are a large number more slightly than usual. Since it is not so hungry, this quantity is a proper quantity. 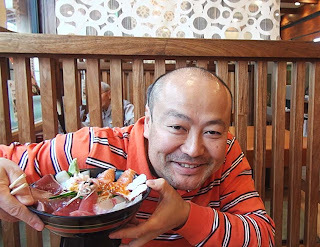 Mikawa-wan seafood bowl has much sashimi. Sashimi which was not caught at "Mikawa-wan" has also on. It is glad to eat seafood bowl with much quantity. Rice is not vinegared rice. Since bowl is large, there is much quantity of boiled rice. Seaweed and a Japanese radish were between sashimi and rice. It is said that it is a seasonal taste of this season. 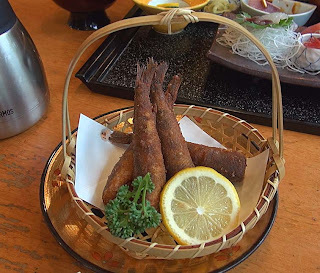 Just fried crispy Batter and soft fish. Need to eat it while it's hot. 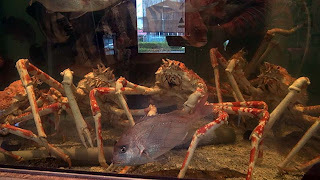 This restaurant also has the spider crab which is not seen in this district. The live spider crab is in a tank. I talked with the female proprietor. "Is that spider crab? Is that delicious? " "But I think that such a large crab is flat taste. " "It is not good. " "The swimming crab is more delicious." "The season of a spider crab is final. Please come to eat someday again." I will visit again, in order to eat a swimming crab.